The most important thing a patient or parent can do to aid in the success of orthodontic treatment is to communicate openly with Dr. Childers and our team. 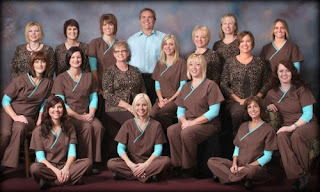 At Childers Orthodontics, we are always willing to explain procedures and treatment for patients. If a patient is unsure of treatment, or has questions, it is imperative that they ask the doctor and staff for a better explanation. Dr. Childers feels it is always best if the patient understands completely what is taking place during treatment. Additionally, it is important for parents and patients to answer treatment questions openly and honestly. It is difficult to customize the treatment plan for a patient when they are not always truthful about how they are wearing elastics or retainers. Orthodontists spend a lot of time trying to understand if a procedure is ineffective, or if the patient is simply not following the doctor’s directions as requested. If an orthodontist is given incorrect information, they can potentially alter a patient’s treatment in such a way as to adversely affect the teeth. 6. Calls the office if something is broken. Cool kids get braces at Childers Orthodontics! Another happy patient at Childers Orthodontics!